The Cross Keys Hotel in Kelso. The career of a Borders police officer is hanging in the balance after he admitted causing a disturbance at a charity fancy dress party. 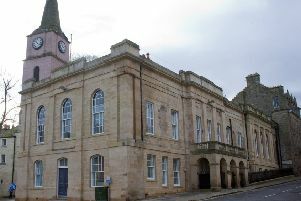 Pierce Solley, 23, pleaded guilty at Jedburgh Sheriff Court to behaving in a threatening or abusive manner at the Cross Keys Hotel in Kelso, on the night of October 27. He admitted challenging others to fight and refusing to leave when asked to do so by event organisers and behaving in an aggressive and intimidating manner towards customers and staff. 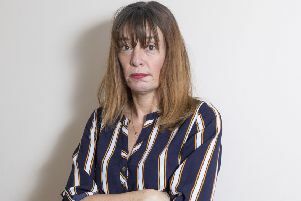 The crown alleged that during the disturbance Solley threatened to punch the mother of one of the event organisers – a woman in her 60s – in the face. But Solley’s lawyer said her client disputed this. She pointed out that due to various factors which had provoked Solley on the evening of the offence, she would be asking for an absolute discharge in the case as a conviction would not only mean the end of his police career, but also affect future employment prospects. Sheriff John MacRitchie noted there were opposing views from the crown and defence in relation to the alleged threat to punch the woman. As a result, he fixed a proof in mitigation for April 18. The court was told Solley, c/o Police Scotland’s Professional Standards Department at Fettes in Edinburgh, had been employed as a police officer since June 2017, stationed in Kelso and Galashiels.